Bar codes are used by various operations in The Compounder software. In The Compounder Lab, it is mainly used for Quality Assurance. Each chemical and/or device that is checked into inventory is given a unique bar code. Then, when you use this chemical or device, you can quickly scan to verify that you have the correct item (this makes sure all lot numbers, pricing, NDCs, CofA's, etc are correct. Bar codes are also used for each log. This makes selecting a log as simple as scanning the bar code. The Compounder Rx has the same features as The Compounder Lab, but also includes bar coding for prescription management, POS interfaces, UPS integration, FedEx integration, etc. The LS2208 features an aggressive laser-based scanner. Though there is a stigma that laser-based scanners aren't as durable as their CCD counterparts, Symbol has gone to great lengths to eliminate this discrepancy. 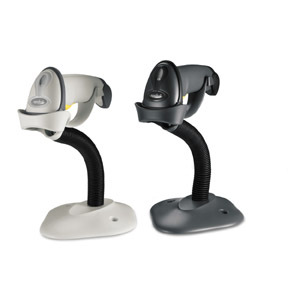 The LS2208's durability and aggressive scan engine make it ideal for medium to high volume scanning environments, such as retail, industrial, and health care.